We’d love your help. 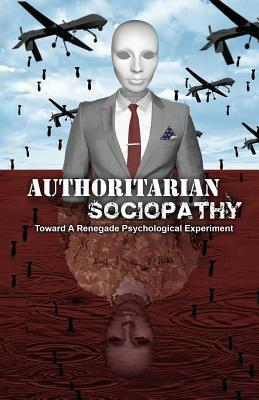 Let us know what’s wrong with this preview of Authoritarian Sociopathy by Davi Barker. To ask other readers questions about Authoritarian Sociopathy, please sign up. The author is an anarchist who doesn't believe in copyright laws and so this is a free ebook. He says that power corrupts more or less inevitably. He says that those in authority seeing as they kings of their own domains are more likely to become tyrants, to lie, cheat, steal, bully and do whatever they please whilst punishing harshly those who do exactly the same thing but are subject to them. He could be describing most politicians and policemen in some countries and many bosses too. Do people The author is an anarchist who doesn't believe in copyright laws and so this is a free ebook. He says that power corrupts more or less inevitably. He says that those in authority seeing as they kings of their own domains are more likely to become tyrants, to lie, cheat, steal, bully and do whatever they please whilst punishing harshly those who do exactly the same thing but are subject to them. He could be describing most politicians and policemen in some countries and many bosses too. Do people become policemen and politicians in order to flout the system for their own advantage? My lawyer says that police in the US know very well that they will be able to order people around and shoot to kill as part of their job and that is part of the attraction for some. They and violent criminals are two sides of the same coin. The book doesn't tell you anything you don't know. But does ask that you send the author money for his experiment in police brutality. Experiments may add to our knowledge of the mechanism for transforming a law-abiding citizen into a legal tyrant with a gun, but will it change the way policing in the US is done if alll the violence and deaths haven't? I don't think so. 3 stars rounded up to 4 because the book was so short it didn't belabour the point. But knocked back down again to 3 for being a crowd-funding appeal in disguise!